CHIMERA SK 4 hub adapter will convert the existing 4x140mm bolt pattern to 4x110 on Sym-Kymco hubs. 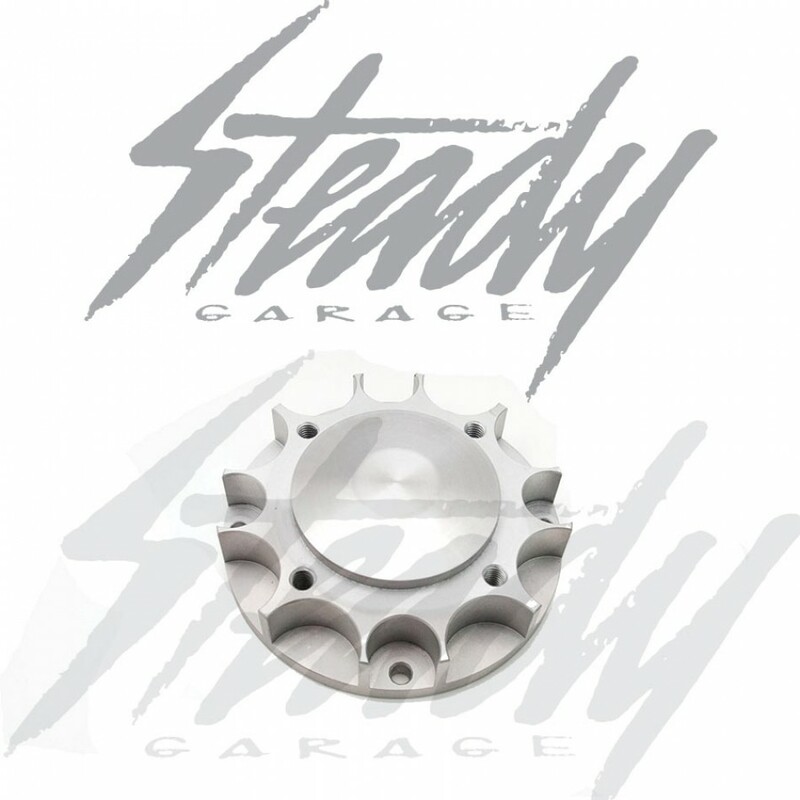 Chimera SK adapter is 1" Thick, ideal for custom Honda Ruckus, custom Honda Dio, or custom Honda Metropolitan. Chimera SK Sym-Kymco hub adapter allows you to convert the existing 4x140mm bolt pattern hub to 4x110mm. This hub will also allow you to run a rim with 4inches of back spacing on your Honda GET 50cc engine. Chimera SK adapters are hub centric, which will insure that the mounted wheel is directly centered and the loads are distributed correctly through the hub (not on the wheel studs/bolts). Chimera SK adapters will not only hide the uglyness from the original Sym-Kymco casting without hindering safety, but it's also has a light weight design! Perfect match for Daytona 8 Hole rims and much more other options for your custom Honda Ruckus/Honda Metropolitan. Note: 4x110mm bolt pattern will only accept Dish or Solid type of rims.